Memorial Day sales have started! I seriously love me some holiday sales. I've been known to hold off on some of my "most wanted" home items for months just because I know I can score a better deal over a holiday weekend. To make life a little easier for you (and to justify the amount of time I spend online browsing) I've compiled a list of some of the best home sales to shop this weekend. Enjoy! Wayfair: Score up to 70% off on patio and home furniture, rugs, and lighting during their Mega Memorial Sale. I'm seeing some great deals on some of their patio seating, like this set! I just recently started shopping at Wayfair over the past few months and I have to say I'm incredibly impressed with their customer service and shipping times. 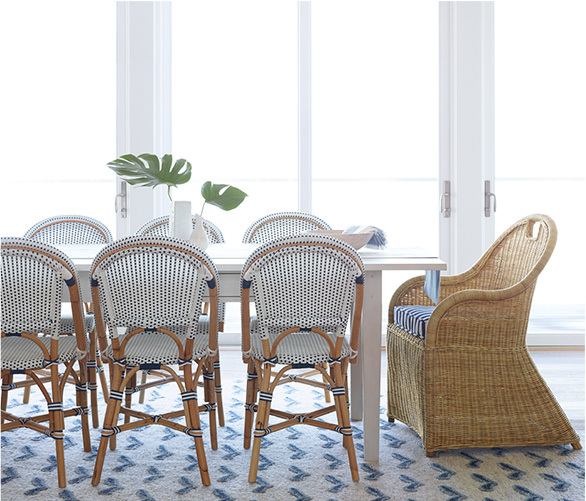 Target: The chain is offering 30% off patio, home, and furniture items. Get another 15% off using promo code HERO I am obsessed with this bedding (perfect for a girl's room and what a deal!) and this blanket. Kirkland's: Use this coupon to score 25% off one regular priced item in-store or get 15% off your entire online order using code MEMORIAL15 They have some great deals on there outdoor cushions going on right now! H&M: Yes, they sell home decor! This weekend they have deals starting from $5 (some of these cushion covers are even less!) You can also enjoy up to 60% off and free shipping using code 4791. They don't offer free shipping very often (unless you spend a certain amount) so this is definitely a good time to take advantage of it! Land of Nod: Looking to spruce up a playroom or nursery? LON is offering 15% off your entire order. I'd love to hear about any deals you score! Comment below or come chat with me over on Instagram and Facebook. Thank you so much for the sales. I found the perfect conversation set for my deck. It has even encouraged me to stain the deck before it comes.